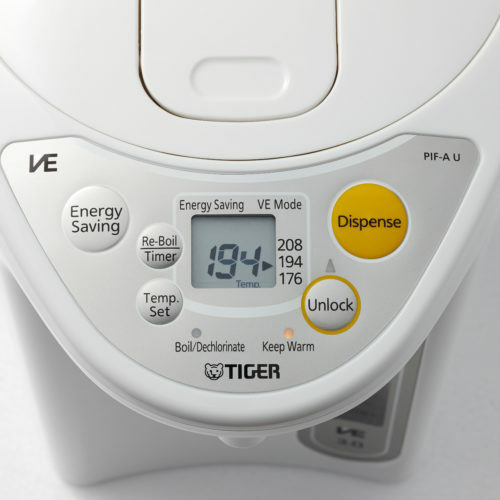 Tiger’s safe and family-friendly 101 oz (3 liter) VE Micom water boiler and warmer has 3 temperature settings (208°F / 194°F / 176°F). This thermal hot pot can be useful for a variety of everyday uses from drinking coffee in the morning, preparing instant food for lunch, enjoying afternoon tea, melting chocolate for baking, or boiling vegetables for dinner. 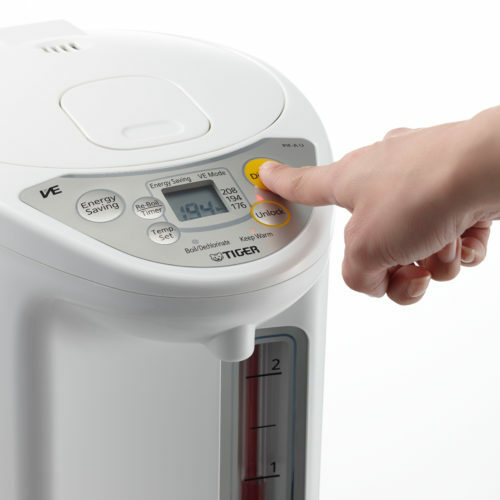 The large LCD panel will display the current temperature and the remaining boiling time. 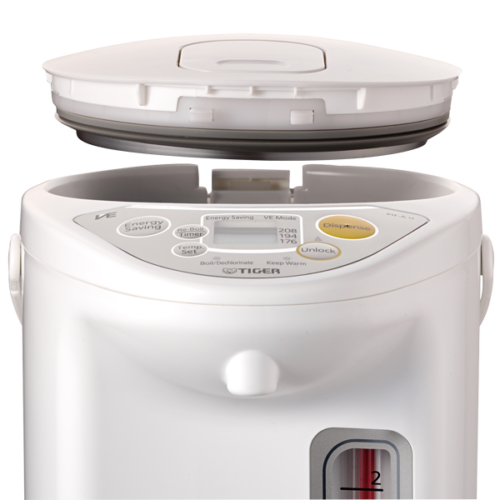 The convenient energy saving mode will shut off the heater after 2 hours and with the advanced double vacuum insulation, the pot will retain its heat for a long period of time while saving energy. 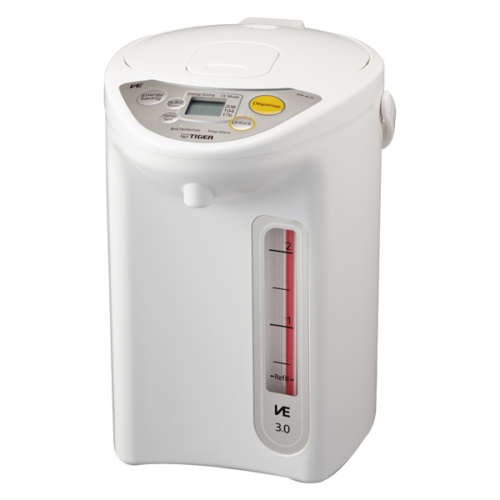 The boiling time can also be delayed from 6 to 10 hours to customize when the perfect temperature water is ready throughout the day.